PF Balance Check can be done through various modes. 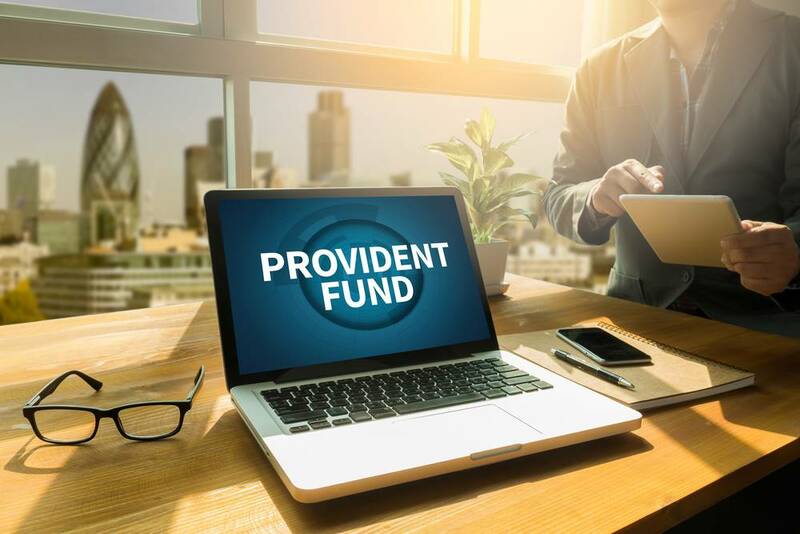 Provident Fund or PF is a social security scheme for employees wherein employees earning less than Rs.15,000 per month contribute a portion of their salary towards the fund as savings. Employers having 20 or more employees are required to obtain PF Registration and allot UAN for contributing employees. In this article, we look at the procedure for doing a PF balance check on the Unified Portal. To do a PF balance check on the Unified Portal, UAN must be allotted by the employer for the employee. 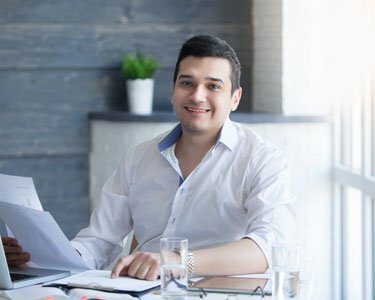 UAN or Unified Account Number is a unique identity provided to all employees who are contributing members of Employee’s Provident Fund. In case you are a first time employee, the employer must generate your UAN number after verifying and uploading your KYC details like Aadhar, PAN, identity and address proof on the Unified Portal. In case you are an existing employee, provide your UAN provided by the previous employer to the new employer while joining employment. The new employer would verify your KYC details and transfer the UAN to the new employment. Know more about UAN registration. Step 2: Provide your UAN and password. Complete the CAPTCHA. Step 4: PF balance will now be displayed on the Unified Portal. The same procedure as mentioned above can also be used to download the PF UAN card from the Unified Portal. Step 1: Give a missed call to 011-22901406 from the mobile number that is activated with UAN on the Unified Portal. Ensure that the KYC complete for the UAN. Step 2: The phone will automatically disconnect after two rings. There will be no cost for calling. Step 3: You will receive the PF balance and details of last contribution through SMS. Similar to the missed call facility, you can also check PF balance using SMS. For using SMS facility, your UAN must be linked to KYC details and the SMS must be sent from the mobile number registered on the Unified Portal. Step 1: Sending an SMS to 7738299899 from registered mobile number. The message should be “EPFOHO UAN”. Step 2: You will receive an SMS as shown below with details of your UAN and PF Balance. Step 1: Download and install the UMANG App from Play Store or iOS Store. Step 2: Find the EPFO option on the homepage of the app. Select “Employee Centric Services”. 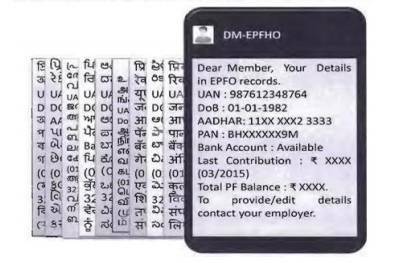 Step 3: Enter EPF Universal Account Number (UAN) when prompted. A OTP will be sent to the mobile registered with UAN. Step 4: Enter the OTP. 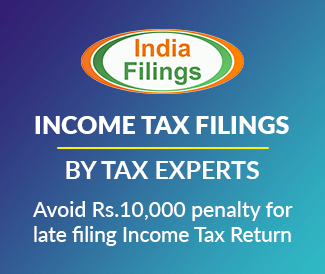 All details pertaining the user’s PF would be shown including the PF balance.